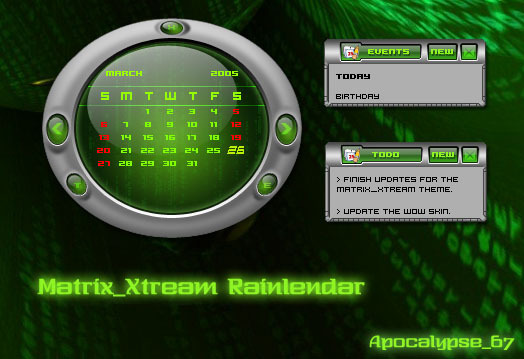 Rainlendar to complement the Matrix_Xtream theme. This is a very beautiful and well-crafted rainy! Looks great, as always. Thank you for sharing! Don't you have a WMP skin for this theme? No, I never made one for this theme.